Blade & Soul PVP World Championship will take place on 13 November in South Korea. Players from Korea, China, Taiwan and Japan will participate in the match. During the tournament, a stage musical, containing music, dance and martial arts as well will be performed. Where to watch Blade & Soul 2015 World Championship? 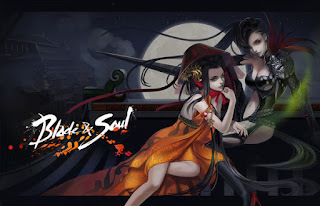 Blade & Soul Tournament 2015 World Championship starts from Nov 1st to Nov 14th. Its stage musical is based on the story of the main villain, Jin Seo-Yeon. The championship will most likely also reveal the 9th class, which will in turn stir up a lot of hype for the early 2016 release of Blade & Soul and the beta weekends still to come. The matches stream on Korea BNS website and the NCSoft Youtube page. As players are usually good at e-sports, this PvP tournament is quite worth watching. To most Asian players, Blade and Soul is no longer a new MMO now. Blade & Soul is developed by Korean game developer NCsoft. Blade & Soul is a fantasy martial-arts game featuring stunning graphics by artist Hyung-Tae Kim. After years of waiting, this game will ultimately launch in NA/EU in Q1 2016. Before its release, player still need to play it on Asian servers. The Taiwan one was cool, though seemed really small compared to the Korean one. So if you are living outside of Asia, Blade & Soul Korea server is more recommended. A Korea VPN can allow you play on Blade & Soul Korea server. You may suffered long latency if you are a gamer living in Europe. Latency exists because of the geographic distance between gamer and game server. So if you living in Europe playing BNS Korea, you may be frustrated with the high ping. While actually you only need a Korea VPN to reduce ping. Other than enable you get an IP address to get access the game, VPNs also have the function of reduce game ping to make the game smooth.